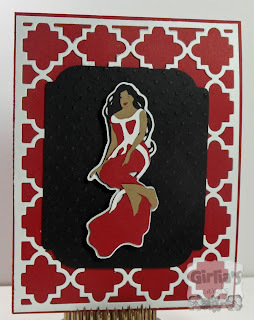 It's day 3 of the Crafting Sister's Blogaversary and I just got to share this card with you today. Adrian has been "rockin" those girl cards and so I decided I would use an unused cartridge while keeping the girl theme and use her favorite colors on the cards--lol. I must tell you I am having a blast making these cards. This is so much fun. So Adrian tag you're it! Wow......I love your card, the colour combo is so striking! Gorgeous card Gloria!! Love the pattern background and beautiful cut and colors!! Love, Love!! U are doing your thing! Such a pretty card, love the colour combo. Gorgeous card. Love the background and the colors. Wow, your card is just darling! the colors and everything! Your card is beautiful! The papers are perfect and the cut is so elegant:) Nice job! Beautiful card.those colors are just perfect for your image.Love the background DP. Very pretty! Great cut and frame! I missed this one before--gorgeous background paper! 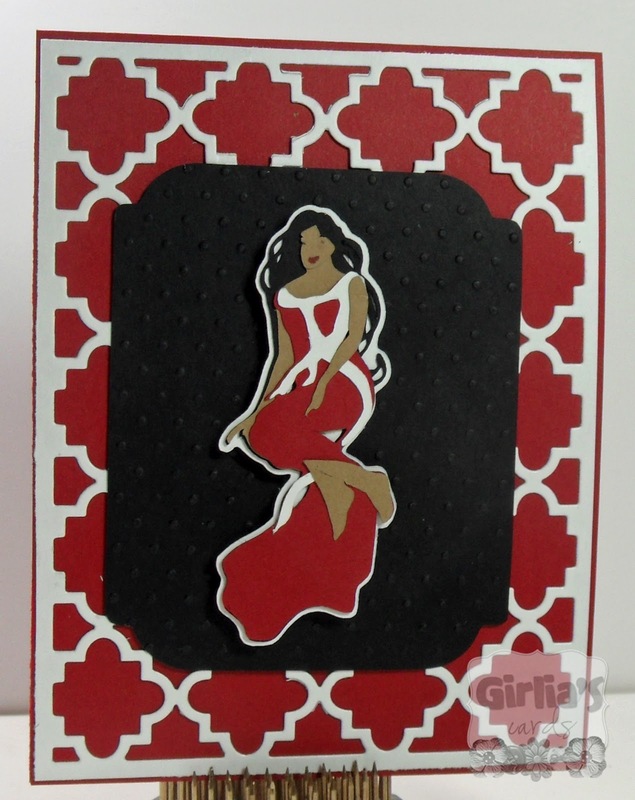 Love it!--Pat N.
Very pretty card wonder cartridge! Super! The background is fabulous!